FM Approved sprinklers, when used in accordance with new FM Global standards, result in the need for fewer sprinklers, less piping and lower water pressure to operate. The most comprehensive sprinkler standards in the world, including application-specific fire testing. A world-renowned authority in testing products in support of property loss prevention. Approval Standards that incorporate decades of intensive research, actual loss experience, and field engineering. FM Approved sprinklers are listed in the online Approval Guide at www.approvalguide.com, a source of vendor information for 1,800 FM Global loss prevention engineers worldwide, as well as thousands of FM Global clients, engineers, code authorities, designers, contractors and architects. The FM Approvals certification mark delivers an immediate competitive advantage, including faster time to market and product differentiation. In the ongoing effort to prevent loss from property damage and business interruption due to fire, the automatic sprinkler system is perhaps the best investment an organization can make. Evidence from research and experience with actual fire events show that automatic sprinklers, in combination with a complete fire protection program, can control or even extinguish fires and thereby limit the resulting damage and downtime. FM Approved automatic sprinkler systems are always ready to respond without delay and operate only over the fire area, discharging water directly onto a fire and limiting fire spread and water damage. Fire loss data show that the average loss to locations without sprinklers was nearly six times greater than adequately sprinklered locations. FM Approvals offers a complete test and certification program that provides FM Global clients and other loss prevention professionals the ability to select FM Approved sprinkler system products that can be counted on to protect their critical assets. FM Approvals provides testing and certification services for most types of sprinklers. These tests reflect important recent modifications to fire protection standards incorporated in the updated FM Global Property Loss Prevention Data Sheet 2-0, Installation Guidelines for Automatic Sprinklers and a revised version of Data Sheet 8-9, Storage of Class 1, 2, 3, 4 and Plastic Commodities. This evolution of fire protection standards involves moving away from sprinkler density as a design criterion and towards key performance attributes associated with sprinkler design and installation characteristics, such as K-factor (ability to flow water), orientation, response time and temperature rating. These changes come as a result of extensive research and testing of the latest sprinkler technology and are intended to help simplify fire protection choice, maximize protection while minimizing installation costs, and support overall sustainable business practices. Former sprinkler terminology such as Control-Mode Density Area (CMDA), Control-Mode Specific Application (CMSA) and suppression has been supplanted by terms that indicate the intended use of the sprinkler as opposed to its assumed performance. Special Protection Sprinkler—intended for special applications such as corrosive atmospheres, interior protection of cooling towers, combustible ducts, etc. All FM Approved sprinklers undergo extensive testing in accordance with the requirements of Approval Standards 2000, 2008 or 2030. Approval testing may include up to 40 different tests to evaluate product strength, durability, reliability, resistance to environmental factors and performance under realistic fire scenarios. Each Approval program includes an assessment of performance and marking requirements, an examination of the manufacturer’s facilities, and an audit of quality assurance procedures, supported by follow-up audits and re-examinations. Because storage sprinklers are intended for the most demanding fire protection applications, these sprinklers are required to undergo full-scale fire testing in order to become FM Approved. The fire test program encompasses a comprehensive set of challenging but realistic scenarios that directly evaluate the sprinkler’s performance. Sprinklers that are not intended for storage may or may not undergo full-scale fire testing, depending on the hazards each sprinkler is intended to protect. FM Approvals and FM Global research have played a critical role in the development of sprinkler technology and the standards that govern their testing and installation. Many building codes and authorities having jurisdiction (AHJs) specify conformity to National Fire Protection Association (NFPA) 13, Standard for the Installation of Sprinklers, which references the use of FM Approvals standards for sprinklers and other fire protection system components in Annex F.
FM Approved sprinklers, when used in accordance with new FM Global standards, result in the need for fewer sprinklers, less piping and lower water pressure to operate. These innovations help clients realize reduced costs, provide more effective protection options, and make automatic sprinkler systems not only simpler and cheaper, but also a more sustainable choice for loss prevention. When a test program is successfully completed, the resulting approval provides assurance that the sprinkler is capable of protecting storage arrangements and commodities of a particular hazard level. FM Approved sprinklers are not only listed in the online Approval Guide but, just as importantly, FM Approved sprinklers are specified and accepted by building owners, designers and code authorities, and regularly recommended by 1,800 FM Global loss prevention engineers to the insurer’s clients in more than 130 countries. FM Approvals’ certification program is an investment that demonstrates a manufacturer’s confidence in its products. While Approval testing is considered among the most rigorous in the world, it is also a true quality indicator that will help differentiate a product from the competition.  FM Approvals maintains accreditations recognized globally by OSHA and IAS in the United States, SCC in Canada, UKAS in the United Kingdom, and is a Notified Body in the EU for ATEX and CPD. Recognized Standards Development Organization (SDO) by the American National Standards Institute (ANSI). FM Approvals maintains rigorous product audit standards with its manufacturing partners. FM Approved products provide property loss prevention solutions for FM Global clients and others worldwide.